Karachiites know how to make their city the topper of different fields; they have already topped the list of violence, pollution and overpopulation, Karachi is proud have to crown of all fields. Despite knowing the fact that rain is problem creator in the metropolis as it causes a major power outages and flooding, Karachiites pray and wish for ‘heavy’ rainfall every month. Some people from the city are not even happy with the monsoon season that they get during the month of July and August. Shall it be sunny or cloudy? Have to arrange a big ritual now? Karachiites should probably prepare for some rituals to cause rain in the city, right? No! Gone are the days when people used to dance for the rain or to arrange a wedding of frogs or they used to slaughter animals to please the Gods for rain. Instead now we have technology to go in the atmosphere and do what we human beings do best that is to do build machines with the help of our scientific knowledge and that process is called ‘cloud seeding’. To ease the drought situation the Pakistani military government conducted series of experiments in early 2000s. By the process of cloud-seeding, artificial rain was created over Quetta city, Baluchistan that caused light downpours for 20 minutes. Twenty-four experiments were carried out, sixteen of them were successful. China used this process before the 2008 Olympics to move the dust particles over Beijing. This was not the first time Beijing did this experiment. In 2003 and 2006, China conducted this experiment that brought as much as four-tenths of an inch of rain, the heaviest rainfall for 2006 in the capital. The rain was much-needed to alleviate drought, add soil moisture and remove dust from the air for better air quality. China is the world’s biggest user of cloud seeding while United Arab Emirates have also started using this method though the U.S scientists have questioned whether this technique is operational or not. Though it is confirmed that weather can not be controlled but there are attempts and research to do so as mentioned above. We can say that the first successful attempt of controlling weather is “cloud seeding”. Cloud seeding is to change the weather rather than to control it. Rain through cloud seeding can be dubbed as artificial rain. Such type of rain is produced by spraying clouds with Silver Iodide, which is hugely costly while cheaper ones like Carbon dioxide or Sodium Chloride can also be used. 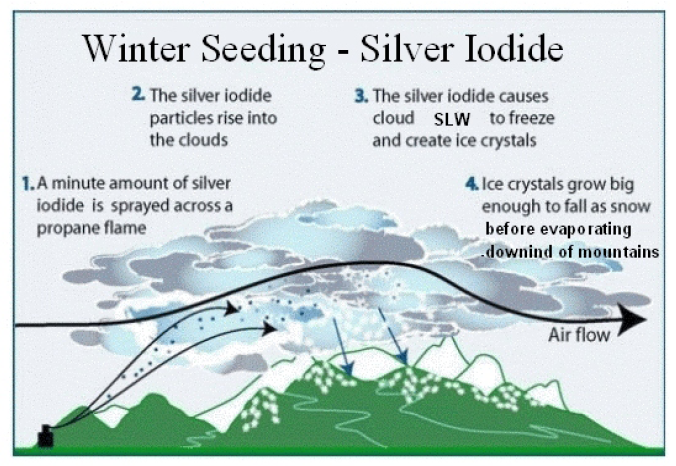 Cloud seeding had its beginnings in 1946 at the General Electric Research Laboratories in Schenectady, New York. Cloud seeding is a form of weather modification, in which the amount or the type of precipitation is change that falls from clouds, by dispersing substances into the air that serve as cloud condensation. It is also used to vanish fog over the civil or army airports. Project Cirrus in the late 1940s and early 1950s. Project Storm fury in the 1960s and 1970s. All these projects were canceled because of its failure and it needed financial support from the government. It however did weaken the hurricane but for some time. High Frequency Active Auroral Research Program or HAARP is a program launched by the US air forces and the navy in the 1993. No ones for sure what research they conduct. 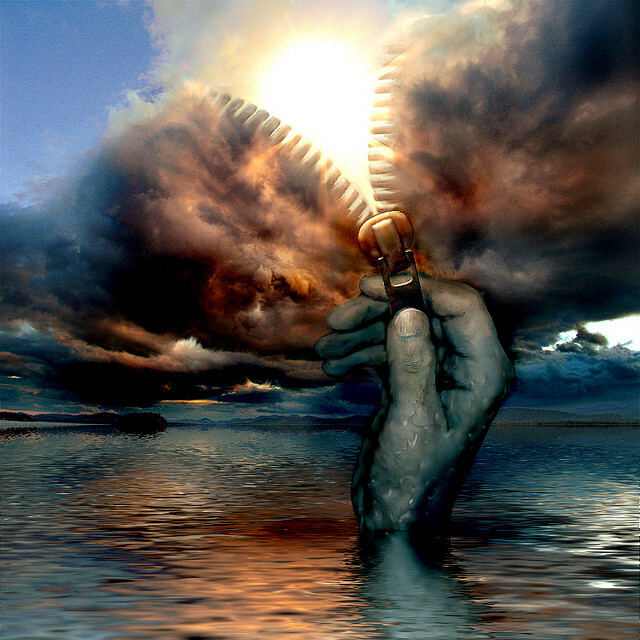 There are many controversies surrounding USA’s HAARP, most nations believe that its main aim is to control weather system and patterns and use them against enemy states with out going through nuclear warfare. Its station is situated in Alaska, US. Many meteorologist, scientists and other people related to such fields do not rule out the possibility of climatic wars in the future. 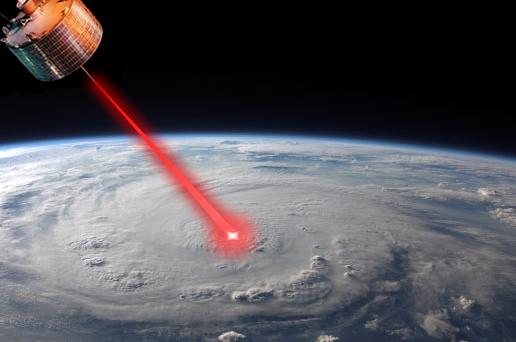 Militaries of major nations such as US, Russia and China are under speculation that they are using technologies to control weather and climatic patterns. “Others are engaging even in an eco-type of terrorism whereby they can alter the climate, set off earthquakes, volcanoes remotely through the use of electromagnetic waves”. The only country that is advancing into the field of alternating climate is U.S while the second country is China. Will World War III be a Weather war? Has the war of weather already started? ← Portal Interactive: Brief History of Rains during June in Karachi! In fact, Biggest city like Karachi has no monsoon because monsoon period is at least 3 months and karachi even cannot get three rainy days each year in monsoon. In reality Punjab, Nwfp, Kashmir, Balchostan at least 6 months each year gets heavy to very heavy rains during winter and at least 2 to 4 months in Monsoon they gets downpours so you forgot about it. As per standard, Karachi must get Monsoon like Mumbai and Goa because it never gets rains during winter like Islamabad/Peshawar or Gilgit. I think rains should be less in numbers, but heavy….